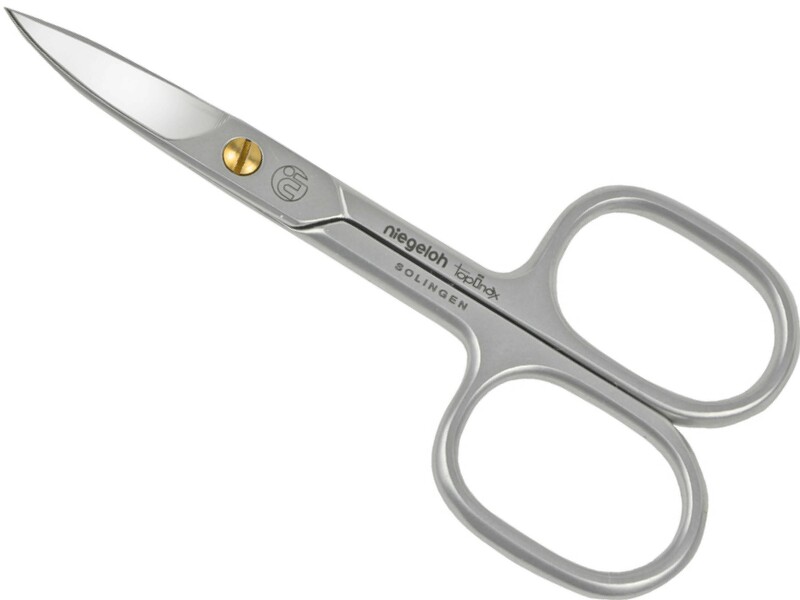 Authentic Solingen nail scissors Topinox represent the best possible quality in the manicure world. 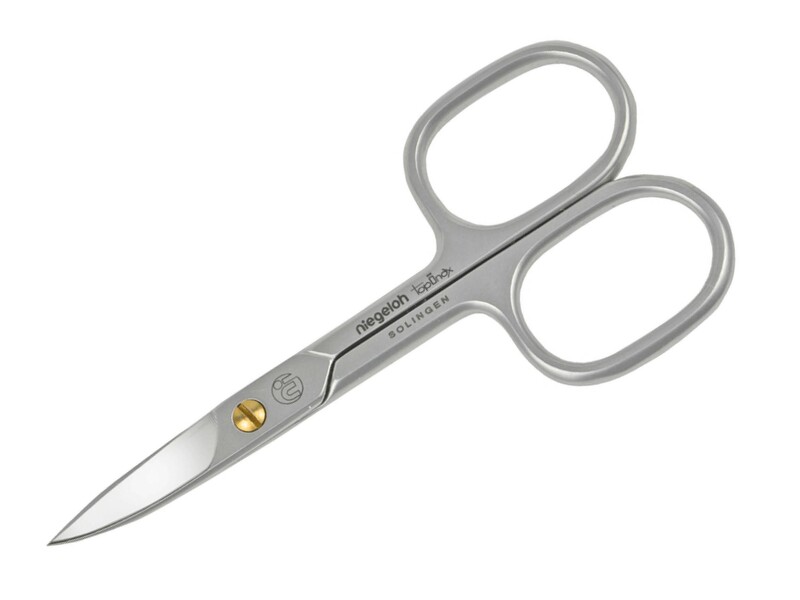 They are hand crafted in Germany of specially tempered Topinox stainless steel renowned for impeccable cutting precision and sharpness that lasts. 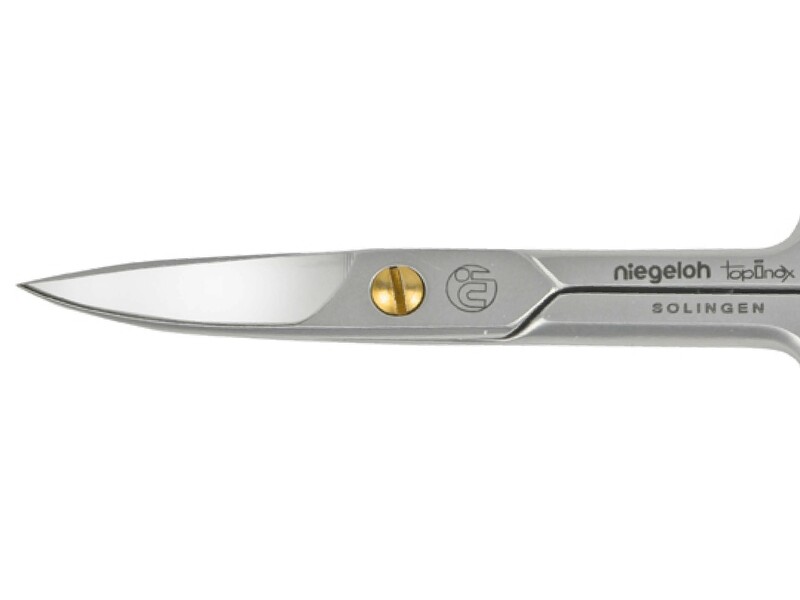 Topinox is Niegeloh’s best in professional quality and has been approved for decades in the finest surgical instruments. 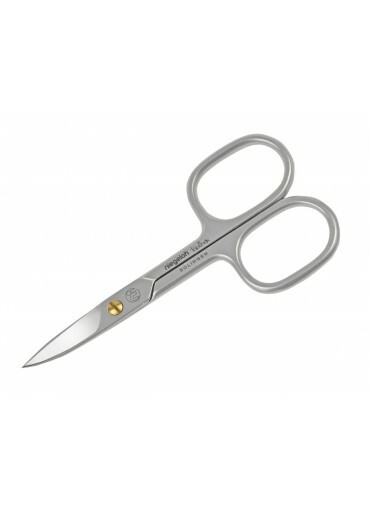 Topinox nail scissors go through up to 18 precision grinding steps and the tips are individually sharpened. The blades are slightly curved to follow the natural shape of the nail. Each pair has a noble satin finish and a 24ct gold plated screw, skilfully adjusted by hand for added durability. For a person who loves the best things in life, Topinox nail scissors make a luxurious gift towards their next manicure.